Amplyopia is a condition that can start at birth with the eyes losing vision in one eye. The lazy eye is a complicated condition of the eyes and brain that makes normal eyesight a problem. This is called amplyopia and it affects the way the eyes align. The eyes appear to point inward or out. The eyes are not able to focusing correctly on images. This condition can cause double vision, vision in only one eye, and gradual loss of depth perception. The eyes can also have a different prescription when it comes to eyesight. The lazy eye syndrome can fall into three types of problems that keep vision from being normal. There are the droopy eyelids or cataracts in children. Treatment can vary depending on the severity. The eyes not working together in unison is a form of amplyopia called strabismus. Strabismus can be caused by diabetes, a head or eye injury, and a stroke. Another condition of the eyes not aligning properly is a result of the brain choosing one side of a person’s vision over the other. At some point the inside of the eye weakens and the brain will no longer use it anymore. As people age the signs of lazy eye may not be noticeable at first. However as time goes on the signs do start to become apparent. The vision becomes a problem as the eyes become misaligned. The eyes at this point are no longer looking in the same direction. It becomes apparent that this condition needs to be corrected. Glasses nor contacts can’t fully correct this condition. The procedure to correct this would be lazy eye surgery in adults. This procedure is thought of as a viable option to correct this condition. However having said this the eye muscle surgery straightens the eyes, but only for cosmetic purposes. The vision does not return to normal in the bad eye. An option for the condition is refractive surgery. Lasik or cataract surgery have been used to correct lazy eye. 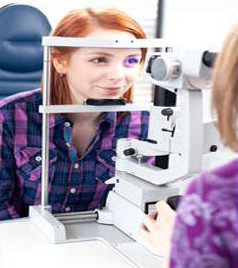 Doctors believe this to be a viable option when it comes to aligning the eyes. The surgery is given to adults for other reasons also. Reasons that can affect a person life in many ways. These are problems that can affect a person’s quality of life. Having this corrective surgery can improve the way a person feels about themselves. It gives them confidence when dealing with social situations. This entry was posted in Health issues and tagged eye condition, eye problem, eye surgery on July 31, 2013 by Yami. The University of the Philippines College of Mass Communication (UP CMC) will hold the 17th Graciano Lopez Jaena Community Journalism Workshop from October 13 to 19 at the UP College of Mass Communication, Diliman, Quezon City. Fellowship slots are available for this workshop. Applications are open to full-time print, broadcast and online journalists, as well as selected journalism educators and students. Resource persons from the academe, government and non-government organizations will speak on issues like disaster reporting, disaster-related laws, ethics and investigative reporting. Since its first workshop in 1985, the Lopez Jaena Community Journalism Workshop has trained hundreds of community journalists. Among the past fellows are Froilan Gallardo, Frank Cimatu, Ilang-ilang Quijano, Jo Clemente, Diosa Labiste, Danny Calleja, Flor Abanto and Maurice Malanes. Applicants should be currently engaged in the journalism profession with at least two years’ working experience. They should also be below 45 years old. They must submit an application letter; resume; two published/broadcast news reports; a story plan for an investigative report on a disaster; and an endorsement from their editor, local press club president or a Lopez Jaena Community Journalism Workshop alumnus. Limited slots may be given to senior journalism students. Student applicants are required to submit an application letter, resume, sample works and an endorsement from their professor, department chair or dean. The fellowship will cover board and lodging. Participants will be billeted inside the UP Diliman campus. Interested journalists, journalism educators and students may send their application papers to The Project Director, 17th Lopez Jaena Community Journalism Workshop on Disaster Reporting, College of Mass Communication, University of the Philippines, Diliman, Quezon City. The deadline for applications is on September 13. For more details, please call the Office of Extension and External Relations (OEER) at 920-6864 or 981-8500 local 2668 or email at lopezjaenaworkshop@gmail.com. This entry was posted in Press release and tagged journalism writing workshop, Lopez Jaena Journalism Workshop, writing on disaster workshop on July 30, 2013 by Yami. There are many important occasions in one life and one of them is a homecoming. Everyone is excited about homecoming and that is the reason girls need special dresses for this special occasion. Usually short dresses are selected as homecoming dresses. Here we are discussing few options. A – Line princess keen length dress is perfect, when it comes to homecoming dresses. It looks stylishly elegant and the majority of the girls can carry it comfortably. One shoulder mini homecoming dresses are also very popular among young girls. Some modern ones prefer to wear asymmetrical princess dresses, which give them a unique look. Organza and chiffon are the popular materials for homecoming dresses, but they are also available in different other materials too. Beads and laces make these dresses more beautiful and perfect for the occasion. You can get them from many online stores, but DressFirst offers a great variety of homecoming dresses and that too at reasonable price. You can get the color of your choice and dress of your choice by visiting Dress First. Moreover, it offers a free shipping facility for the customers, which is a money saving option. So, if you are looking around for homecoming dresses, visit Dress First and get the dress of your choice. This entry was posted in Apparel, Occasion and tagged homecoming, homecoming dress on July 28, 2013 by Yami.